Our status quo — the pyramid of wealth and power dominated by the few at the top — has failed and is beyond reform. This failure is not rooted in superficial issues such as politics or governmental regulations; the failure is structural. An Of Two Minds Essentials℠ is a sharply focused discussion of one of the core issues of our era. While each is a stand-alone book (Kindle ebook and print), the Essentials℠ shed light on the new socio-economic era we are entering. The Essentials are compact (less than 30,000 words) and affordable. Charles Hugh Smith's blog OfTwoMinds.com has been rated the #7 Top Alternative Financial News site by CNBC. Charles is one of the preeminent thinkers of our time, not only exposing what is wrong with the underlying structure of our institutions but what we can do about it. “For those wondering why our present economic social order is in such a mess despite the glitzy surface prosperity this book provides many of the answers. It documents both the symptoms and the causes of the sensed malaise. One area in which I disagree with the author, however, is his contention that continued borrowing will inevitably lead to runaway inflation. That might happen if resources actually became scarce. But so far the corporate "machine" has been able to produce more manufactured goods than the populace can consume, thus keeping inflation in check. Right now the main constraint in this area is on demand rather than supply. The real inflation right now is in things like medical services and higher education. Though homes (including their attendant property taxes) in prestigious locations have also risen significantly in cost. Fine art and gourmet meals have also escalated in price, but these are intrinsically luxury items which tend to charge what the traffic will bear, so their effect on the general society is limited. 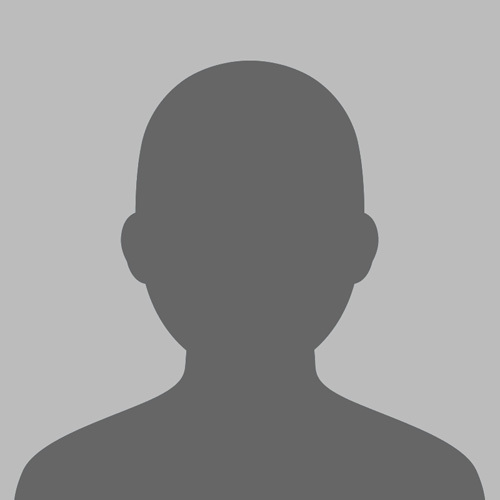 “I love Charles Hugh Smith's books, and have written extensive reviews of several of his prior works. This one was a bit tough. 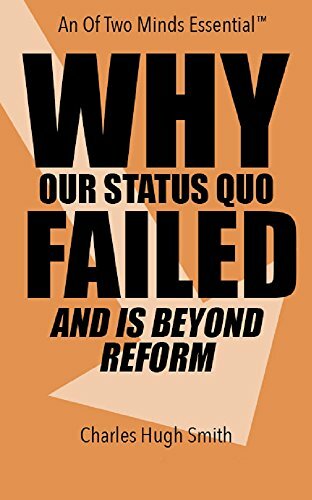 I agree fully with his premise, that the status quo is beyond reform. The broken political systems of the United States, Europe and Japan are on full display this August prior to the election. SpokenTome.media Audiobooks presents Charles Hugh Smith in conversation with Mark Jeftovic. Charles discusses his book "A Radically Beneficial World", the monetary system, and creating meaningful work for all. Professionally narrated by Leslie James. My work does not fit into any ideological box; indeed, I view all ideologies as obsolete and misleading. Measured in terms of money I am not rich, but measured in friendships, health and output, I feel very wealthy indeed. I like my work and feel there is purpose in independent critiques of the Status Quo and in the positive view I have of the next iteration of our economy and society.